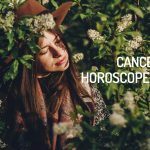 Looking for the Cancer Horoscope for 2019? Every month, you will find here the astrological forecasts for your zodiac sign. Check the Horoscope for Cancer, in 2019. 2019 begins with respect and love, offering the possibility to clearly analyze what contributes to your relationship and which things are still missing. Romantic relationships will be carried on with more maturity and responsibility. Beware of relationships for self-interest. You will have good relations with your family members in general and couples will enjoy very satisfactory moments of intimacy. At the workplace and in the finances, a cycle will come to a close and it is a good time to make adjustments, projections and establish priorities for your expenses. International businesses have a positive outlook as well as studies, exams or conferences. It will be necessary to deeply analyze economic projects and the end of the trimester will be a good time for changes. With respect to health, you should be careful overindulging in the pursuit of pleasure, it is good to enjoy but not so much that you damage your health. Do not over-exert yourself physically and do not overeat and drink. This end of the trimester is a good time for self-healing. In the second trimester, the natives of Cancer will have to assume more responsibility for their actions in emotional relationships. Family life and coexistence within the home will go well. There will be a good intellectual compatibility for those who start relationships. There will be a tendency at work to favor everything that has to do with your true vocation. Some relationships with co-workers or fellow students may become complicated, and you will probably hinder a speedy resolution. Your financial prospects will improve and at the end of this quarter, the natives of this sign will look for new sources of income. Regarding health in the second trimester, you will feel the need to better regulate your meals and physical activities, looking for a balance that benefits your physical well-being. There will be more spiritual searching and you will try to reconcile things from the past. Beware of alterations in your sleeping habits. It is imperative to take more care of your body and emotional side. The third trimester in love will begin with the need to rethink, change your emotional energy, and begin to do projects. A lack of self-esteem could bring conflicts in the love plane, but the conjunction of Venus with the Sun in Cancer will allow you to see what you need to modify. Agreements will be reached within the couple which allows progress to be made. With respect to money and work in July you must be careful with improvisation, it is not the right moment to take great risks. It is necessary to be very careful with what you have earned. Take care of your temperament because it could lead to an argumentative environment at work. This is a good time for those who work in sales, commerce and transportation, since good business can be expected. In health, you may have to visit the doctor for an illness that requires rigorous care. Psychophysical energy will increase, and it will be easier for you to recover from diseases. There will be a lot of tension and stress and it will be necessary to start practicing some relaxation techniques. Couples will act well in tandem at the beginning of the fourth quarter, for which bonds between them and good communication will be reinforced. Beware of suffocating or being very dependent on your partner, both extremes are harmful. Try to seek a balance. At the end of the love year, emotional issues will gain more value and you will feel the need to move forward with what makes you feel good and leave behind whatever is harmful. You will have good disposition at work and a lot of energy in intellectual matters, which assures the natives of Cancer that they will have creative and novel ideas in their projects. These projects and the steps you need to follow to be successful will become clearer, especially in projects that involve travel or study. Be ready for new relationships and new job prospects, since there will be a priority in looking for things that you really like. With respect to health, these natives of the sign will have to review some problems they may feel with their reproductive system. It is best to visit a specialist. Health will improve substantially, and you will have more energy. Choose to apply it in sports or recreational activities. At the end of the year, your health will remain stable. Seek reflection and meditation as a source of growth. The presence of the asteroid Psyche in the VII House of Cancer indicates an opportunity to analyze what produces vulnerability within your relationship with your partner. The eclipse of the Full Moon on January 21st will touch the II House of Cancer, signaling the end of a business deal or economic cycle. It is a good time to study your personal finances and adjust your general budget (how much do you want to receive for your work, what are your main expenses). It should be noted that Jupiter is located in the VI House of Cancer, so 2019 should be a year of growth in the workplace for the natives of this sign. The entrance of Venus into the VI House of Cancer (01/07), alludes to paying greater attention to personal care and enjoying the pleasures of everyday life. Pluto and Saturn will remain in the VII House of Cancer, to which the influence of Venus will be added in the same place starting on February 3rd. This astral alignment indicates that any romantic engagements have begun with responsibility, maturity and realism. Avoid relationships based on economic interests. The entrance of Mercury and the Sun into the IX House of Cancer (on February 10th and 18th respectively), will be a blessing for the students of the sign. Likewise, it will produce positive results in international business alliances and presentations in forums and congresses. In general, the natives of Cancer will enjoy good health during this time of the year, but they should be careful not to indulge in excesses, eating and drinking as well as physical activities (avoid training until exhaustion). The entrance of Venus into the VIII House of Cancer (03/01), propitiates intimate moments as a couple. This transit also encourages conversations and moments shared with your family. The retrogradation of Mercury, from March 5th to March 27th in the IX House of Cancer, invites the natives of the sign to reflect on any projects associated with international moves or earnings in a foreign currency. There are procedures and paperwork that you are not considering, and you should review it all in detail, before taking the decisive step. With Ceres in the VI House of Cancer, the fundamental lesson to be learned is to be your own mother: motivate yourself, take care of yourself and comfort yourself at the times when you need it most. The retrogradation of Pluto and Saturn will begin in the VII House of Cancer at the end of April, raising interesting questions how you use your personal power within relationships and if you take responsibility for your actions, or prefer for other people to intercede for you. Vesta, Mercury and Venus will enter the X House of Cancer during the month of April. For natives of the sign, this transit represents the projection of your professional image, reconnection with ancestral feminine wisdom and your true vocation. Jupiter will begin to retrograde in the VI House of Cancer on April 10th, which means that a period dedicated to the revision of life habits has begun. It is oriented towards finding balance and your integral well-being. The start of the direct phase of Pallas in the IV House of Cancer on May 30th, facilitates the planning for moving or domestic repairs. It is also a favorable alignment for redecorating your home. The entrance of Lilith into the IX House of Cancer (05/03) can cause conflicts with study partners or figures of authority in the academic environment. Likewise, this transit suggests obstacles in international procedures, created by the sons and daughters of Cancer themselves. In May, the Sun and Mercury will enter the XII House of Cancer where Mars is also located. The alignments available for this period can alter sleep patterns, but also encourage spiritual searching and reconciling with the past. The presence of the asteroid Eros in the III House of Cancer during the first half of June indicates that all romantic interest will be based on intellectual empathy and the shared ideas. Good financial prospects. Juno’s entry into the II House of Cancer (20/06) signals a commitment to your future financial stability. Subsequently, the entry of Mercury to the same location (06/26) will shift your attention towards creating new sources of resources (monetizing your talents). Do not forget that the North Node of Karma is in Cancer in 2019, so taking care of yourself is an essential requirement to be able to progress. The New Moon in Cancer, which will take place on July 2nd, will be the perfect opportunity to reinvent yourself and develop short and medium term goals which are connected to your true essence (not what others expect from you). Mars will enter the II House of Cancer on July 1st, a favorable transit to take control of any projects that involve your financial stability. Beware of unnecessary risks. If you have a chronic disease, do not ignore its relevant care and go to your doctor if old symptoms reappear (Jupiter and Ceres in retrograde in the VI House of Cancer). Venus Star Point (conjunction Sun – Venus) will be produced in the II House of Cancer II on August 14th. This astral event will reveal the fears and fixed ideas that hinder building true self-esteem for the sons and daughters of the Cancer. The beginning of the retrogradation of Uranus in the XI House of Cancer, starting on August 11th, can bring explosive discussions within groups at work. Avoid taking conflicts personally. Jupiter will begin its direct phase in the VI House of Cancer during the first two weeks of the month of August. The sons and daughters of this sign will feel full of vigor and strength. Accelerated recovery of those who are in recovering from any medical disturbance. Starting on September 18th, Saturn will be in its direct phase in the VII House of Cancer, which supports agreements made regarding the responsibilities of each member of the couple. During the first two weeks of September, the transit of several planets in the III House of Cancer, will benefit the natives of the sign that are dedicated to trade, sales and transportation. The entrance of Eros to the VI House of Cancer (09/24) will emphasize the difficulties that the individual is faced with when trying to relax, enjoy their rest or the company of anyone else. The beginning of the direct phase of Pluto (10/03) in the VII House of Cancer, will reinforce conjugal links. Interaction with your partner will be one of the most valuable sources of personal growth. Exacerbated creativity. The passage of several planets over the V House of Cancer suggests the awakening of natural talents and applying them in the development of innovative ideas. The retrogradation of Mercury will begin in the V House of Cancer on October 31st, which can lead to fertility problems or complications at the time of birth. Do not hesitate to consult a specialist if there are any anomalous symptoms. Ceres will enter the VII House of Cancer, starting on November 16, which can be interpreted as dedication (almost exclusively) to your life partner. Since the transit will occur under the influence of Capricorn, you will feel a growing need to take control in all situations which involve couple dynamics. It is not surprising that Ceres in the VII House can lead to asphyxiating or dependency-based relationships. The beginning of the direct phase of Neptune (11/27) in the IX House of Cancer, signals a new clarity associated with projects that will promote your growth (trips, higher studies, publications, international procedures). The entrance of the Sun into the VI House of Cancer (11/22), along with the end of the retrogradation of Mercury in the V House (11/19), will strengthen the physical and psychic state of the natives of the sign. The ring-shaped eclipse of the Sun in Capricorn, which will take place on December 26th, will touch the VII House of Cancer. This can be interpreted as relationships that go to the next level, and old ways of thinking in partner relationships that get cancelled. The beginning of the direct phase of Chiron in the X House of Cancer (12/12), suggests new beliefs related to success and your professional vocation. These deserve to be put into practice. You deserve to work on what you’re passionate about. The physical condition of the natives of Cancer will have a positive balance during this time of year. The Full Moon in Gemini on April 12th will affect the XII House of the sign, so it will be the perfect time to meditate, connect with your spirituality and let go of past grudges. Good sentimental forecast for Cancer in 2018. Communication with your partner is improved, but you must try to think less and feel more. Some difficulties with the orders of the superiors and a detachment to the commitments in the work plane. You’ll have to take more care of your health at the beginning of the year. Listen to the signs of your body and seek the opinion of specialists. You will feel the need for personal growth and to analyze relationships with your loved ones from another perspective. There’s a tendency to seek economic stability and acquire material goods. Try to reduce your stress levels. At the end of the semester your mental clarity will increase and you can solve some health problems. You will feel the need to make things better and to improve some past situations that are not understood or integrated. The second semester begins with important decisions and possible important commitments. Watch out for the superfluous expenses. Your health will be strengthened, and this is a good time to start some physical activity and to change some eating habits. You’ll want to be a little more alone, and this has a reflection on your decisions in the love field, giving you more mental clarity, more direction and a tendency to overcome your personal limitations. Take care of your impulsiveness and some hasty decisions that may affect your love life. The last semester also brings a renewal of affective relationships and new points of view, especially for people who are single. You should be careful with some tensions that can occur with co-workers due to lack of communication. Try to stay tuned and not to be alone, seeking affection in your closest acquaintances. You’ll need to raise your levels of self-confidence. The influence of Venus retrograde will affect relationships with your partner or family and you’ll question your way of dealing with those. A good time in professional terms, potential increases, job improvements and positive changes. The year will culminates with a good time for romance and the possibility of meeting very interesting people. In your work place, try to avoid misunderstandings and discussions. January will be a productive month for natives of Cancer, in sentimental matters. Mercury in the VII House of Cancer makes communications easier for couples, but also suggests a tendency to rationalize emotions. The entrance of the asteroid Vesta to the VI House of Cancer (01/15), indicates a higher level of dedication to active work and projects, helping to overcome the tensions exerted by the retrogradation of Uranus (during the previous months), a situation that generated discomfort with the levels of commitment that working as a subordinate to someone else (whether teammates, clients or superiors) requires. One of the most significant movements for Cancer, in January 2018, is the entrance of the asteroid Vesta to the VI House of this sign, an area that represents work and health habits. This planetary movement helps you to regain connection with your own body: to better listen to your needs. The partial eclipse of the Sun in Aquarius, which will take place on February 15, will touch the VIII House of Cancer, indicating a point of inflection linked to your personal growth, and the way you approach relationships. January closed with a total eclipse of the Full Moon in Leo (01/31), which will expose the interest of basing your emotional security on economic resources and material possessions. Excessive dedication to work can end up making you sick, physically and emotionally. Dedicate time to relaxation and recreation. Lilith in the VII House of Cancer presents two interesting aspects: the belief that life is unfair to you, or the ability to appreciate even the smallest details. The decision of the road is yours. A succession of stars will be circulating in the X House of Cancer, placing the point of interest in showing off your professional image. An excellent period to increase (and update) your network of contacts. Again, stress will be the worst enemy of your health. On the other hand, the entrance of the asteroid Palas to the XII House of Cancer, at the end of March, will help to better organize your mental plane and find creative solutions to problems. Mars in the VII House of Cancer invites you to take the initiative in love, while Vesta entering the same sector (04/01) of the natal map, indicates delivery in relationships, so it won’t be surprising that many sons and daughters of the crab choose to marry or get engaged. Chiron will enter the X House of Cancer, on April 17, this planetary position is important because it encourages consideration of past situations, which prevent enjoyment of present success, either by dissatisfaction (I can do more) or by believing that you deserve it. The physical condition of the sons and daughters of Cancer will be strengthened during the month of April. Good period to start a new nutritional or exercise plan, under the supervision of experts. The entrance of the Sun into the XII House of Cancer, on May 20, marks victory over hidden enemies, but also the need to take moments of solitude to work on introspection. May 2018 will be characterized by an intense focus in the area of public relations, with the purpose of promoting your professional image. Do not neglect the contacts provided by your close groups of friends. On the physical plane, you will enjoy good health. However, it is essential to pay attention to the emotional aspect, to avoid somatization. June is positioned as a period of important decisions for natives of Cancer. Mercury and the Sun will be transiting over the sign of the crab, which translates into mental clarity when it comes to taking decisions. Finances will improve significantly, thanks to the entrance of Venus in the II House of Cancer (06/13). Do not waste it all on superfluous expenses, and support your partner. Health will remain stable, but you may face inconveniences if you are not attentive to the signals of your body. The partial eclipse of Sun in Cancer, which will take place on July 13, will affect you directly, motivating you to invest time and resources in your personal development. Finances will continue to rise for the sons and daughters of Cancer, during the month of July. But beware of impulse purchases. Interest in new physical activities. Avoid exercising on your own and seek the advice of professionals. During its retrograde phase, Mars will reenter the VII House of Cancer (08/12), which means violent reactions to the requirements of your partner or relatives. Beware of hasty decisions. The partial eclipse of the Sun in Leo, which will take place on August 11, will impact the II House of Cancer, which suggests an important financial change, either by a purchase of real estate, a salary increase or placement in a new job. With the asteroid Vesta directly in the VI House of Cancer, starting on August 1, your own relationship with your body will gain greater relevance, leaving aside patterns of self-punishment. In September, the retrogradation of Saturn and Pluto ends in the VII House of Cancer, allowing the renewal of bonds between couples, and offering a new perspective on relationships for single people. Good time to submit reports and written research papers. Avoid exposing yourself in excess, within the work environment. Stable state of health. Concern about your own spirituality. Venus, planet of love and desire, will begin to retrograde in the V House of Cancer (10/05), so it will not be the best time for romance. Likewise, families will go through a period of discussions between parents and children. Failure to communicate with coworkers and hierarchical superiors can make you feel frustrated in the work environment. Do not assume a fatalistic attitude, and use a new means of approach. You can solve what you set your mind to. Psychic and emotional imbalance, as a result of unresolved negative events, and related to old relationships. The North Node will be activated on your sign, on November 15, which leads to deep questions about your mission in life, and the material objectives you want to achieve. Jupiter, the planet of expansion, enters the VI House of Cancer (11/08) generating change in everything related to your work environment, such as promotions, salary increases, and changes of location or company. Vitality and strength. Positive change in eating habits. Take caution against allergies and respiratory diseases. Excellent time for romance. Opportunity to meet someone special. Excellent period in the workplace, but avoid getting involved with people prone to speaking badly of others, gossip or destructive criticism. Progressive recovery of ailments. Do not drink excessively.